This smart but casual popover shirt is a great addition to any summer wardrobe. Cut from cotton and featuring new-season prints. If your boy had the chance to design a pair of flip flops theyd probably end up looking something like this. Lightweight hardwearing comfy and splashed with eye-catching designs courtesy of our in-house print team. The relaxed fit of this printed t-shirt will make it a top that youll reach for time and time again. A summer essential. There may not be gold at the end of our rainbow stripe skinny jeans, but there sure is style! Cut to a full length with a classic five pocket design, these mid wash denims flaunt statement rainbow stripes, making these signature jeans all the more magical. A jersey midi length skirt will see you through all kinds of occasions during the summer months. This one has functional pockets and side seams for comfort too. These bikini bottoms feature contouring and controlling mesh for support . Designed to mix and match with our whole swimwear collection. Make light work of keeping your keys in check with a novelty knitted animal keyring. 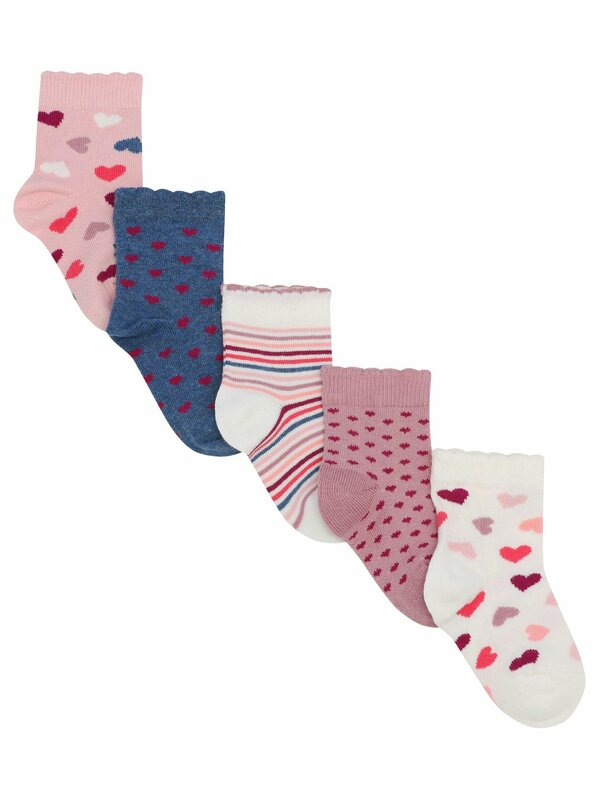 A pack of five baby girl softs crafted from cotton rich fabrics in a selection of heart, spot and stripe designs. This halterneck bikini top features a flattering twist detail and foam moulded cups for shape. Designed to mix and match with our new season swimwear range. These wonderful wellies have been crafted from hardwearing stretchy and flexible natural rubber. Perfect for a rainy walk to school a day out holidays and simply to keep close by in case of unexpected downpours. They also come with a Carry-Bag making them perfect to stash in a bag after a woodland walk or trip to the beach. We know that you live in flip flops during the summer months so ours have been improved and made even stronger. A new way to wear our prints weve made sure even the sides are printed and colourful. Were sure theres a pair here for everyone this summer. In an exceptional cut and classic fit this crisp peached cotton shirt is a great option for any man. Finished with chambray trims and a concealed button collar the contrast check pattern to the inner back-neck is also worth a mention. Available in a variety of checks that will work back with our collection of knitwear. Perfect for any time of year this relaxed fit woven trousers are both stylish and comfortable. Splashed with and eye-catching print and finished with delightful details such as a fixed bow and frills. Made to pair with a plain t-shirt or top. Crafted from summer-loving linen this short-sleeve shirt is what every mans wardrobe needs as the sun starts to put his hat on. In a classic blue check pattern that will lend itself brilliantly to being paired with lighter trousers and shorts. A pair of trusty shorts are a must for the spring and summer months. With a soft elastic waistband drawstring and patch pockets in washed indigo jersey for that lived-in feel from the first wear.